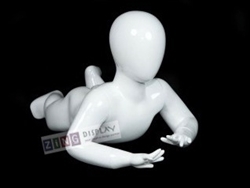 Toddler mannequin with fiberglass construction. Arms remove for easy dressing. Round glass base with ankle mounts included.